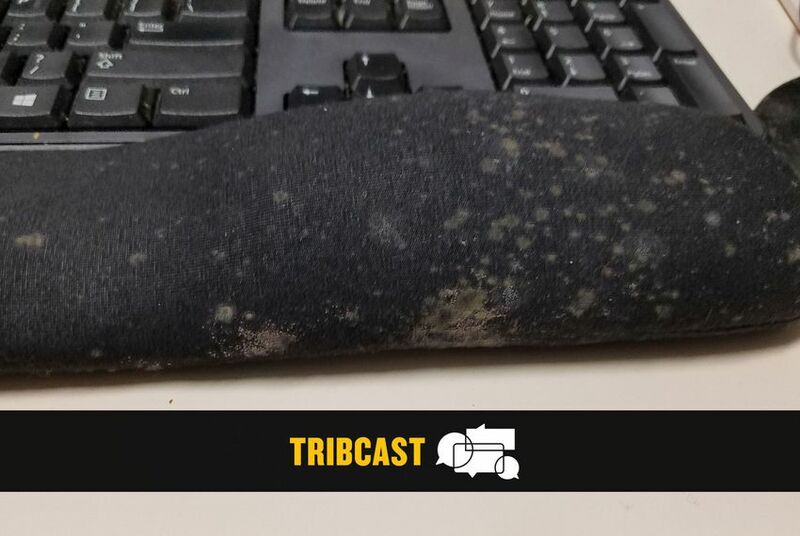 On this week's TribCast, Emily talks to Evan, Patrick and Emma about Texas' mold-infested state health services building, whether the feds will meet a court-ordered deadline for migrant family reunifications and why some Republican statewide officials have no incentive to debate their Democratic opponents. Plus: Austin grocery store Wheatsville Co-op punks Evan. You'll want to listen in! You can't make this up. Our own Marissa Evans reported last week on a state *health* building — home to epidemiologists who study HIV and other diseases — being overrun with mold on keyboard pads, chairs, carpets, even shoes employees left over the weekend. Right after her article, workers there were removed from the building for their own safety. But Texas has a history of deferring maintenance on its buildings until it's too late. A judge has ordered immigration officials to reunite all migrant children with their parents by Thursday. Emma explains why that's next to impossible, what kinds of conditions those in detention and shelters continue to face while they're awaiting reunifications, and how the feds managed to lose track of more than 450 parents whose kids are still in federal care. Patrick tells us about Lt. Gov. Dan Patrick's decision not to debate his Democratic opponent Mike Collier, and speculates on where Attorney General Ken Paxton will come down on whether to face off with his Democratic rival Justin Nelson. Thanks for joining us! We'll see you next week!